FontLab is a comprehensive font editor designed for professional users, such as designers and typographers. Its purpose is to provide a full-featured yet user-friendly user environment for customizing the way each symbol in a font looks like. To start with, you can open fonts from a custom location or the ones built into Windows, as well as ask the program to search for fonts on the computer. Keep in mind that FontLab also enables you to create a font from scratch, also providing a sketchboard where you can draw freely to illustrate your ideas. For each glyph, you can edit the name and Unicode character, along with classes and type. It is possible to replace existing glyphs, rotate, shift, scale or mirror them, as well as adjust metrics and apply effects (e.g., bold, shadow, gradient, 3D rotate). You can add notes for each glyph, delete glyphs from the respective font family, as well as use standard and advanced drawing tools to edit the glyph looks and perform connection corrections, interpolation, conversion (e.g. curves to PostScript), optimization, and guide alignment. Plus, you may import backgrounds, bitmap fonts, EPS, metrics, and Mac font files, as well as export backgrounds, EPS or metrics, and save the project to file for further modifications. These are just some of the options provided by FontLab. FontLab supports hotkeys and includes online tutorials. It has a good response time and uses low CPU and RAM, so it does not interfere with the runtime of other apps. We haven’t come across any difficulties in our evaluation. 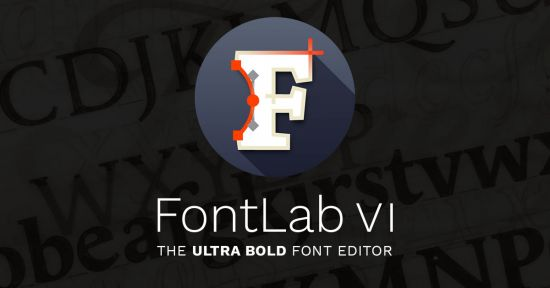 Its wide range of options and configurable settings, together with the advanced editing tools and the user-friendly working environment, make FontLab a tool worth trying if you want a reliable font editor.